Imagine if The Hitchhiker's Guide to the Galaxy were a real, practical book about the mysteries of the universe . . . The Universe in Your Hand takes us on a wonder-filled journey to the surface of our dying sun, shrinks us to the size of an atom and puts us in the deathly grip of distant black holes. Along the way you might come to understand, really understand, the mind-bending science that underpins modern life, from quantum mechanics to Einstein's theory of general relativity. 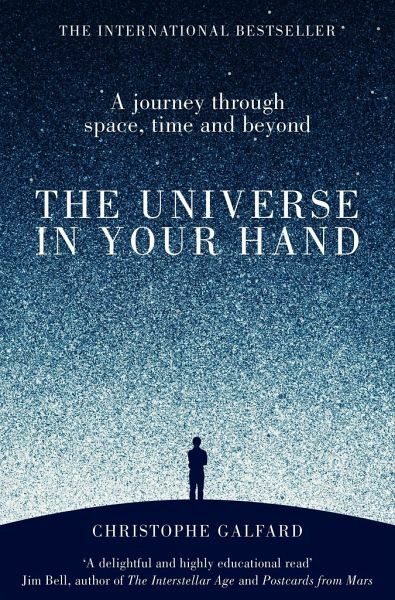 Through brilliant storytelling and humour rather than graphs and equations, internationally renowned astrophysicist Christophe Galfard has written an instant classic that brings the astonishing beauty of the universe to life - and takes us deep into questions about the beginning of time and the future of humanity. Christophe Galfard holds a Ph.D. in theoretical physics from Cambridge University, where he was Professor Stephen Hawking's graduate student from 2000 to 2006, researching the so-called black hole information paradox and he co-authored George's Secret Key to the Universe with Stephen Hawking and his daughter Lucy Hawking. 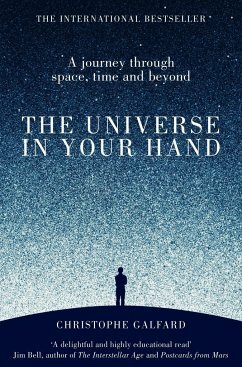 His book, The Universe in Your Hand, has been translated into over twenty different languages.